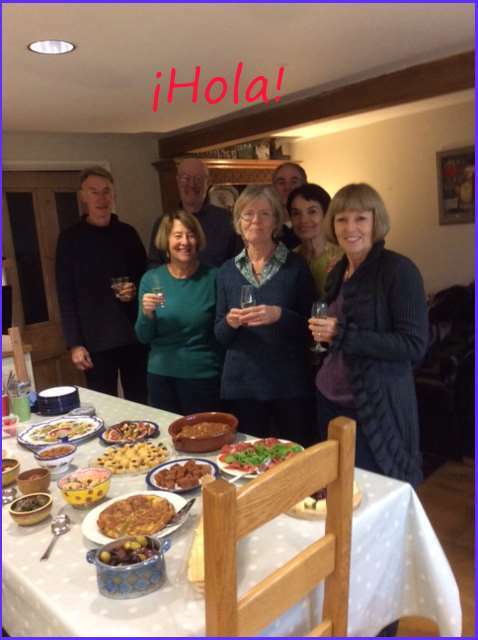 BoA U3a Spanish Improvers Conversation Group. Hola! we meet every Tuesday at the co-ordinator’s home. It’s friendly and fun with some role-play. While the emphasis is on conversation, we also look at some grammar issues and particular topics such as transport, food and holidays using books and some on-line resources ‘Word of the Day’ from www.spanishdict.com and Notes in Spanish. The number is limited to eight so that everyone has the chance to get a word in! Hi Jacquie, I asked about your group a few months ago, when you said I could come along when there was a vacancy. I haven’t heard from you since and just wondered if there was the possibility of a space in the near future.